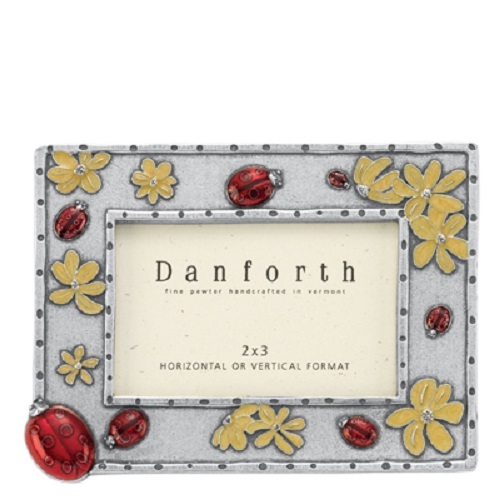 Delightful frame is hand made of solid pewter and has a complex decoration of red and yellow enameled flowers and ladybugs, stamped & embossed border witha larger ladybug focal in the lower left corner. 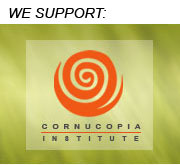 High-quality easel back and can be displayed vertically or horizontally. 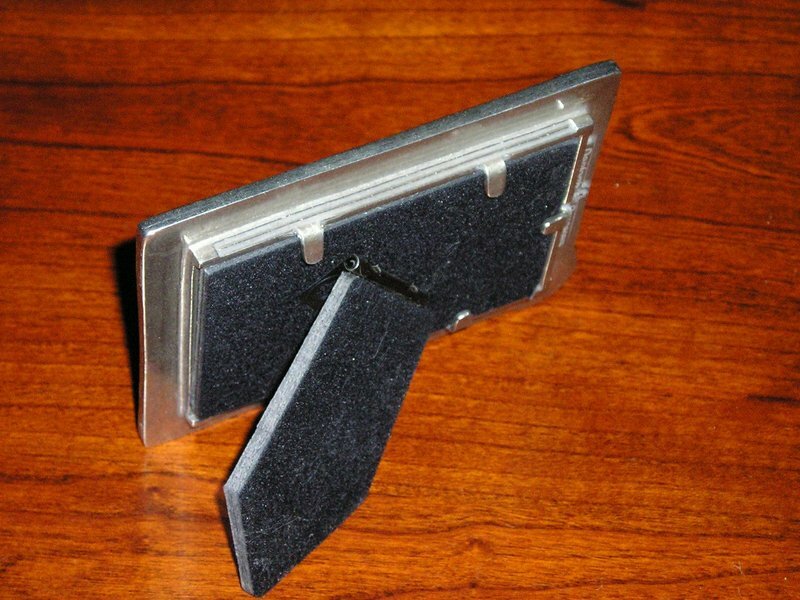 Holds a 2" x 3" photo. 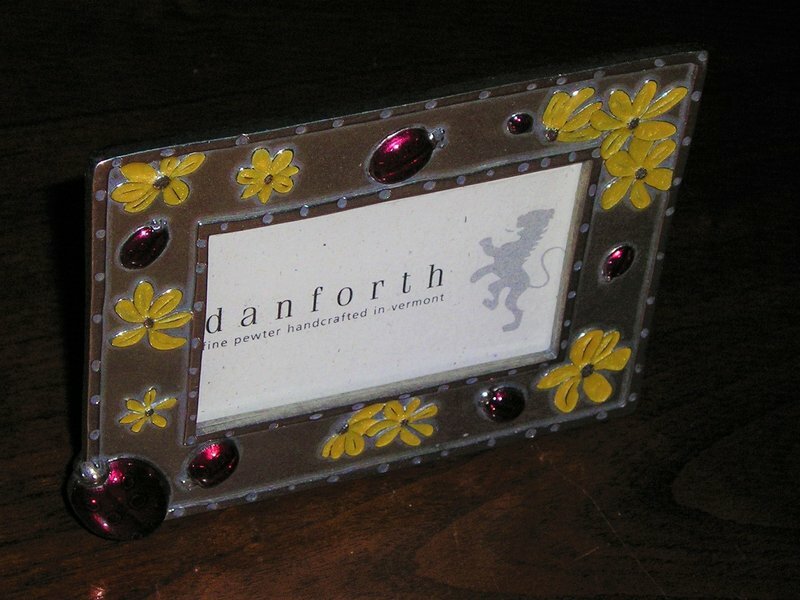 Frame measures 3-7/8" x 3". Lead Free. 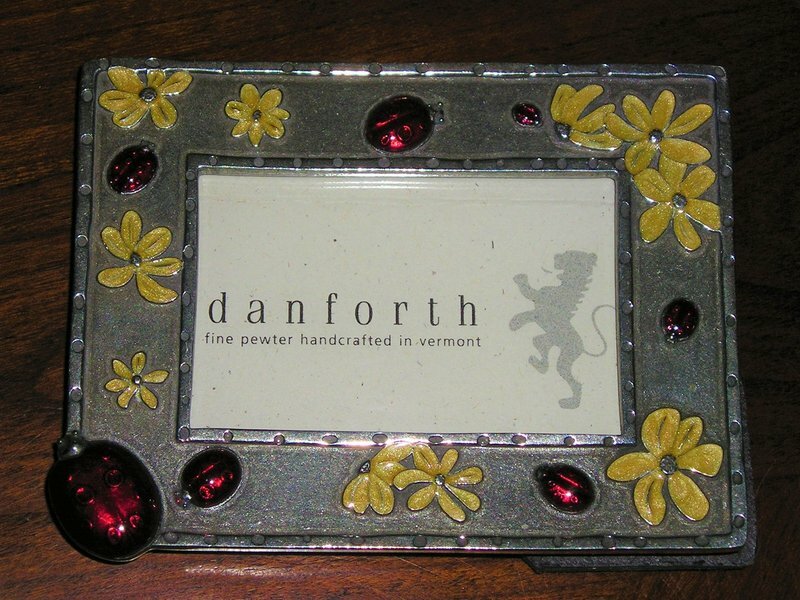 Hand made in the USA by Danforth Pewter. Gift Boxed.